It is a fairly common practice to aggregate concrete by using finely crushed barite. In order to ensure the high quality of the powder, try building your facility with incredibly efficient heavy-duty machinery from Strommashina. We offer you well-designed personalized crushing equipment that will can be modified according to your technological requirements. Depending on the specificities of the production line, you may choose solutions for both open and closed circuits. Concrete aggregates are usually well processed powders of minerals such as barite. Small particles form the supporting frame of concrete and can be categorized depending on the average size of the particles. These categories are: ordinary, lightweight, and heavy aggregate. The latter is often barite powder. Before being used as a high-density aggregate, the mineral must be processed and finely reduced to the fineness of at least 325mesh (in many cases to 200mesh). 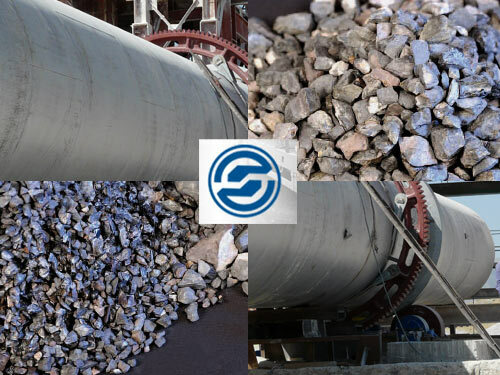 In order to process barite and produce high-density powder (with the fineness of 200-325mesh), you need to utilize customized machinery like ball, high-pressure grinding, and/or roller mills. If you want to elevate the technology at your facility to the next level, controlling the fineness is imperative. Strommashina offers you a wide choice of various grinding mills that can make your production cycle controllable and effective. With an addition of Strommashina's mills, your facility will become more advanced and efficient!